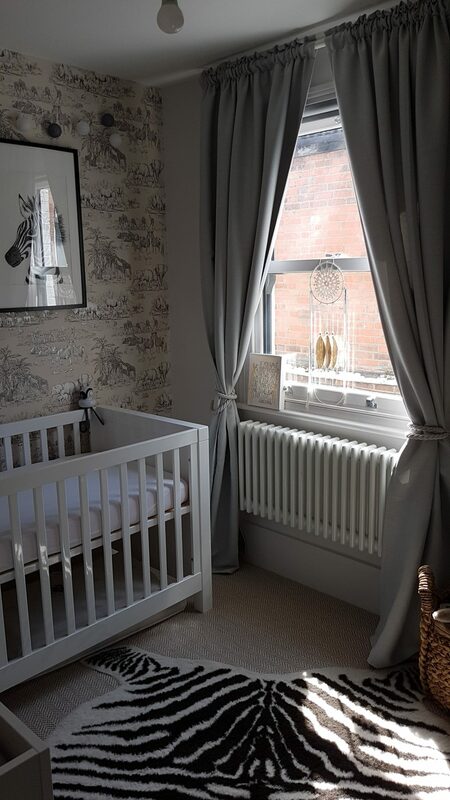 When I was pregnant with Belle I knew exactly how I wanted her room to be and spend so much of my pregnancy getting it perfect so that it was all ready for her arrival. With Ace, my poor neglected second child, his room has only just been finished and he is the ripe old age of 3 months! 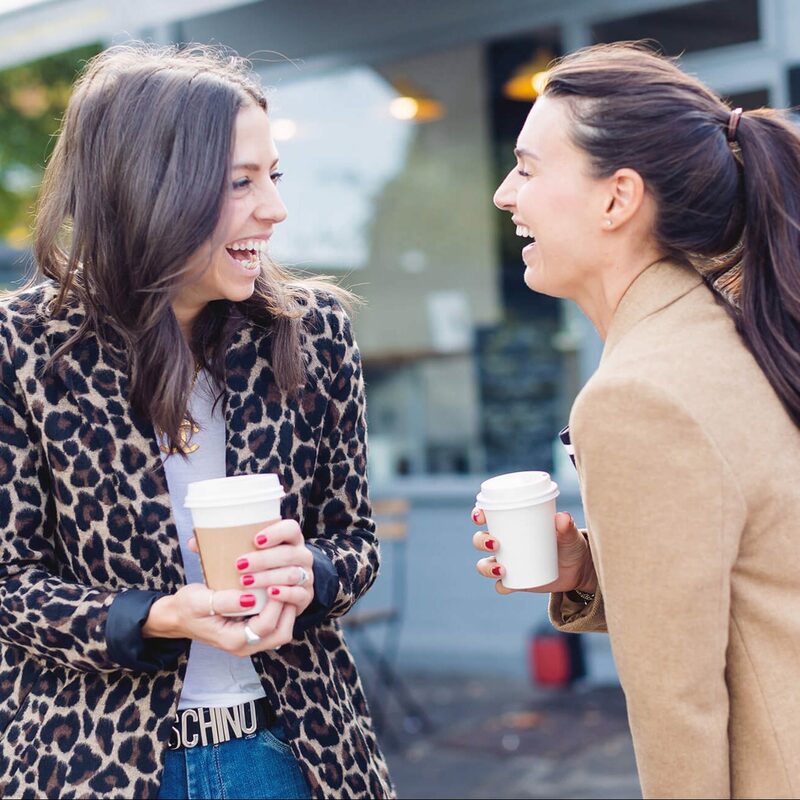 To my defence, we moved house when I was 39 weeks (something I don’t recommend…!) and I was too busy making sure we had a functioning kitchen to realise that his room had nothing. I mean zero. 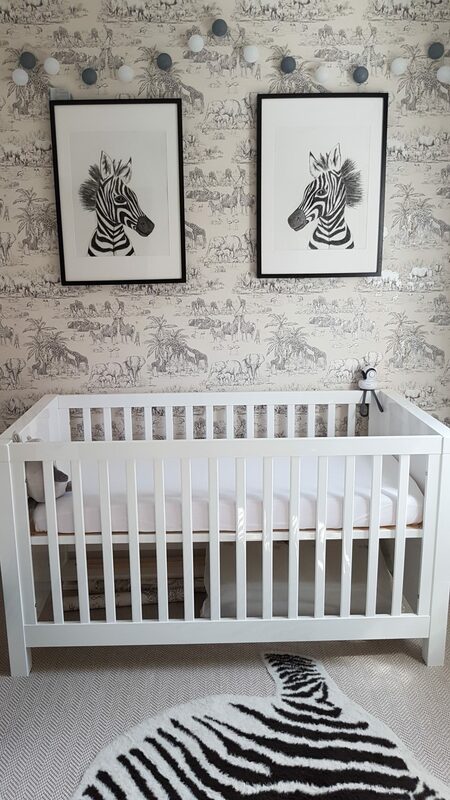 It somehow slipped my mind that we hadn’t even ordered a cot for him until I was 40 weeks!! The problem was, it was New Year and so everywhere I looked had at last a 20 day wait for delivery. But then I heard about Silver Cross and I can’t recommend them enough. They delivered within 5 days, two handsome men brought everything upstairs into his room, unboxed it all and built it then TOOK AWAY THE BOXES!! Which basically was the best Christmas present ever for someone who was always surrounded by boxes from the move. 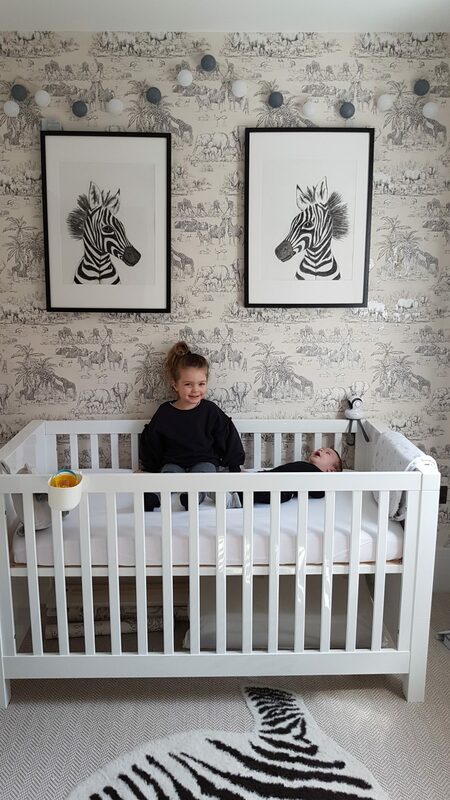 The cot, changing table and wardrobe are all from the Notting Hill collection at Silver Cross. The room is very small so I wanted to keep it all as light and bright as possible. 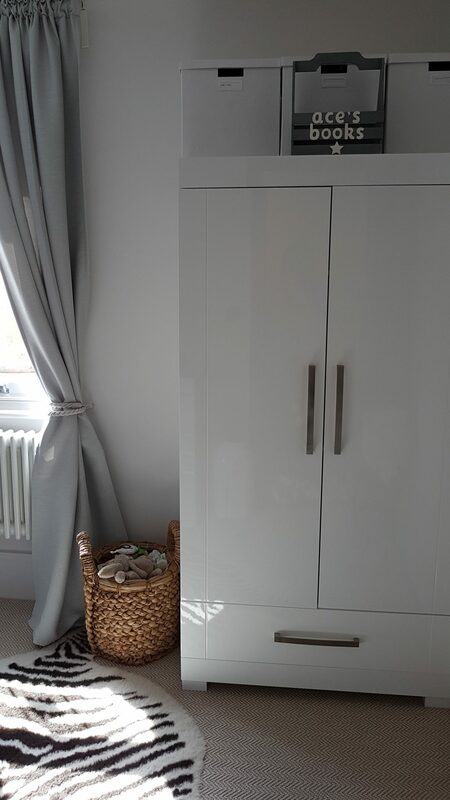 The wallpaper is B&Q – I spotted it when buying a plant, I didn’t know they did such pretty wallpapers and it was super cheap! My brother in law (a barrister, not an artist) drew these zebras. He also drew a couple of animal pictures for Belle’s room and apart from the fact that I LOVE the pics, it’s so lovely that they both have pictures that their uncle drew for them when they were babies. The frames are Ribba from Ikea. The baskets are H&M and I have a couple dotted around the room with teddies and toys in them. 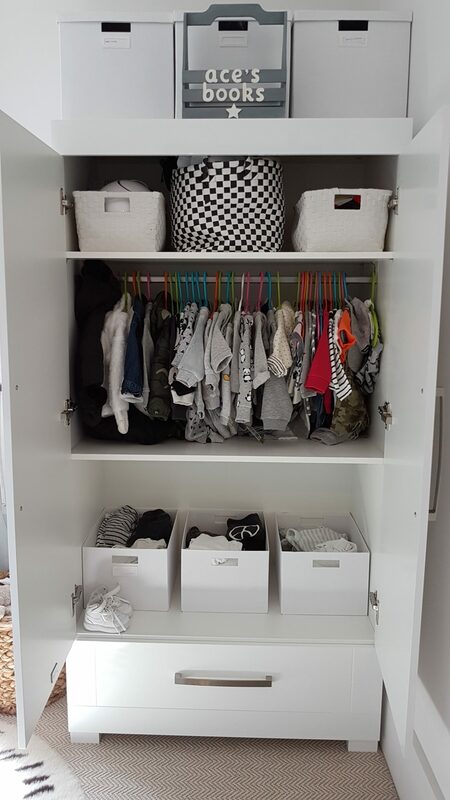 The wardrobe is fairly small but fits everything (and helps restrain me when I get carried away buying Ace more clothes…) The book box on top of the wardrobe is from @Domeafavourgifts and was a present from someone. 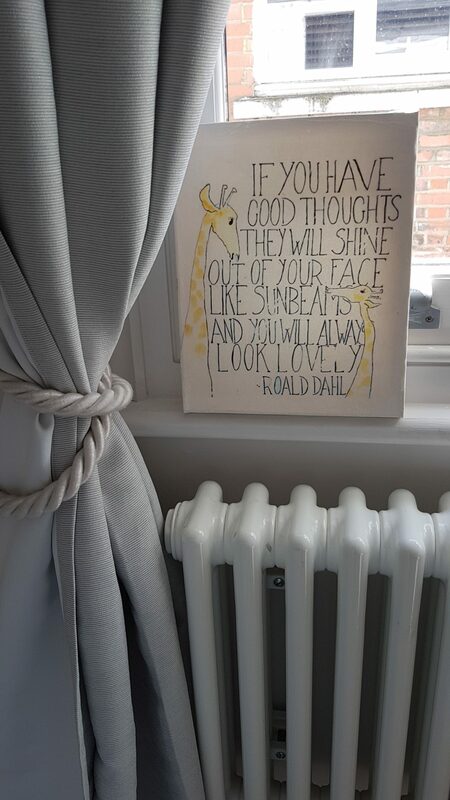 My friends printed this Roald Dahl quote. For those who follow us on Instagram you will know that I have a serious love affair with Ikea. I spend WAY too much time there but as it’s only a 10 minute drive from my house it was the perfect ‘maternity leave activity’ when Ace arrived and Belle was in nursery. 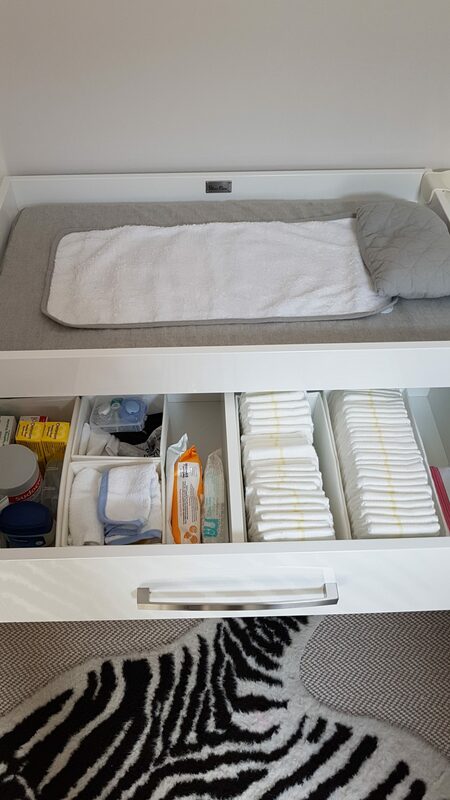 My main obsession is these drawer dividers which now live inside almost every drawer in my house. I need everything to be super organised (hello OCD) so these boxes are perfect for dividing everything up.